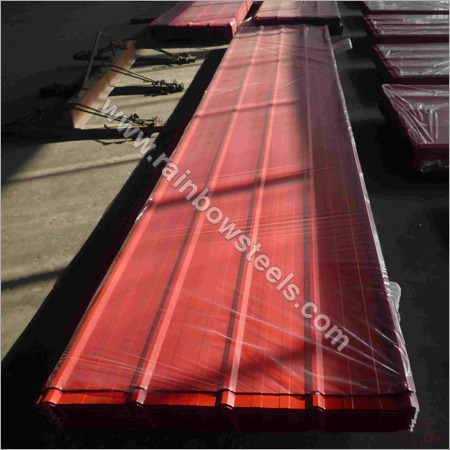 We are a technologically advanced manufacturer, supplier and exporter of Corrugated Steel Sheet Red. Non-fading color of the offered sheet provides beauty to various building structures like factories, warehouse, balconies, etc. Our well researched and faultlessly developed Corrugated Colour Sheet have a high insulation to heat & sound. Capability to resist high impact enables our products to remain firmly fixed on the installation area. Our Corrugated Colour Steel Sheet are free from cracking, bending, pores or any other kind of damage.